It is with great sadness and utter dismay that we report yet another A320 has gone down as predicted. Sadness of course for the passengers, but dismay at the fact that still nobody seems to be questioning publicly why so many A320s are crashing in mysterious circumstances. Of course the immediate claims of terrorism are being trotted off as authorities panic, wondering what on earth they are going to say this time to an increasingly alarmed public following the latest in what is likely to be a mid-air explosion caused by pressurised Climate Engineering systems on board the A320. Because this incident occurred at sea, the authorities hold all the cards and we have nothing really to work on except what we are fed through mainstream media, unlike in other similar incidents in LA, Istanbul and Sinai where we had very visible clues from the wreckage of the aircraft in question. Immediately we saw the usual authority sources try to claim or insinuate that terrorism was to blame even before any investigations had taken place. It is interesting that Egypt’s Prime Minister has so eagerly backed this hypothesis within hours of the crash, surprising because it was Egyptian aviation experts that denied for a long time that any evidence of explosives was found when the Sinai incident occurred not that long ago. This is now the default response to all of these increasingly freuent events. It seems to be a tactic to try to lay the page for the inevitable terrorist story to build on as they try to look at the evidence and fabricate something almost believable. Despite this the story i previous incidents has had to change several times as various source pointed out glaring problems. A classic example was the Sinai incident in which the CIA likely called the local faction of ISIS and told them to claim responsibility. They duly released a low-res video of them firing a missile. Case closed they though as they went back to the dinner table, but military experts then pointed out that the missiles that the local CIA sponsored Teenage Mutant Ninja Rable has in that area were not capable of reaching 36,000ft, the altitude at which the flight was cruising at the time it got into trouble. OOPS ! So the CIA then quickly thought of a new one, and tried to blame a local militant air-side worker, who supposedly snuk a bomb onto the plane before take off. Of course, no further evidence ever emerged as in all of these cases, and nothing was ever heard of it again as the storty was soon buried uner more exciting news, as will happen with this one in time. The wreckage of EgyptAir Flight MS804 will likely be hidden and any that is displayed will be cherry-picked so as not to reveal the exact location of the blast. 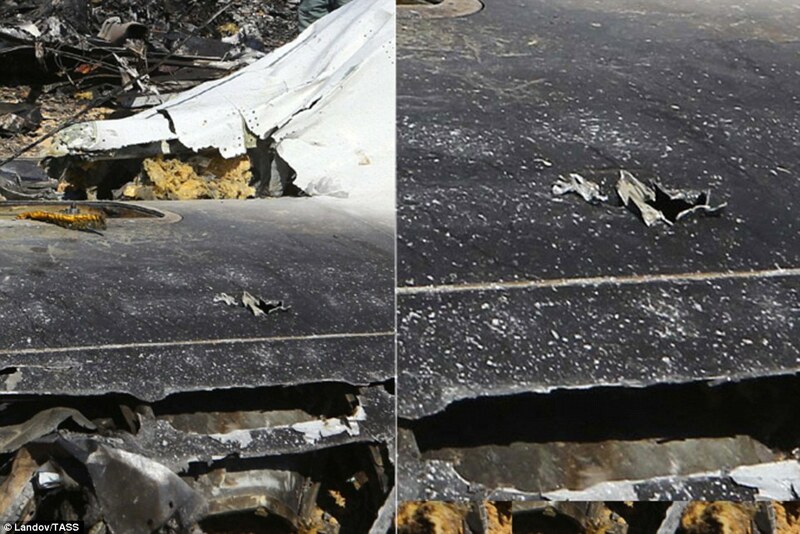 We predict that this is yet another small explosion that has ripped a hole in the fuselage of the A320, in the area of the fron of the wings or just forward of the wings, one one side or the other, not both. The damage will likely be relatively;y limited as with all these incidents, and the aircraft will likely have been downed by the loss of pressure and stability leading to the break up of the aircraft, not by the immediate blast itself, as would be expected in a terrorist bomb, even of limited size. Now that the suicidal pilot story has been used once too many time, they are having to be a bit more inventive. Terrorism fits the bill perfectly of course so they have settled on that one for now, but it’s not as easy as that. To keep blaming these increasingly frequent incidents of terrorist bombs they are faced with the glaring problem of how are these supposed terrorists getting these bombs on board. Every airport in the developed world has the most stringent air safety checks as many pointed out in previous incidents, so of course complicit sources began to claim that air-side workers were somehow sneaking these devices into the luggage holds. Ludicrous of course, but it will be interesting to see how this one pans out and just how far they are prepared to go in the scripting to try to explain away this latest incident. Paris Charles De Gaul -CDG – where this flight originated from is a European hub and has some of the world’s tightest security. This extends to eployees entering and leaving any part of the airport, so the chance of anyone getting anything explosive onto a plane there is next to zero. Maybe some new type of undetectable plastic, carried by yet another suicidal pilot with terrorist sympathies or smuggled on to the cargo hold by a north African sympathiser. We hate to sound so flippant when discussing such a tragic event, but the real tragedy is that this is now happening every few months and people just are not waking up to the fact it cannot and should not, so something is going on. This is not bombs or terrorism, it is catastrophic failures in the pressurised systems. From the limited reliable evidence we have we think that converted ULD containers are being loaded onto A320 and 737-800 aircraft at all hub airports. The image below was from a series we took at Istanbul Ataturk, where we witnessed 3 of these ULDs being loaded on right in front of our eyes. Luggage is never loaded into the front hold of any A320. As soon as the team loading them spotted us taking images the gate was closed and we were ejected. Each airline will only be loaded at its home airport. Turkish Airlines seem brazen in their behaviours, loading these containers in front of passengers. Critics will obviously claim these are simply cargo, but this does not make any sense. We discuss this in other articles. The ULDs that are loaded onto to these aircraft in 3 in the few cases we have observed, which fits the theory as there are 3 pipes fitted to the A320 systems. We believe they are highly pressurised, so as to allow the systems to be completely autonomous and not need to be serviced regularly at airports. This means they are connected to the dispersal systems via high-pressure valves. It is these valves that we vbeleive are t parts that are failing in some, if not all of these incidents. 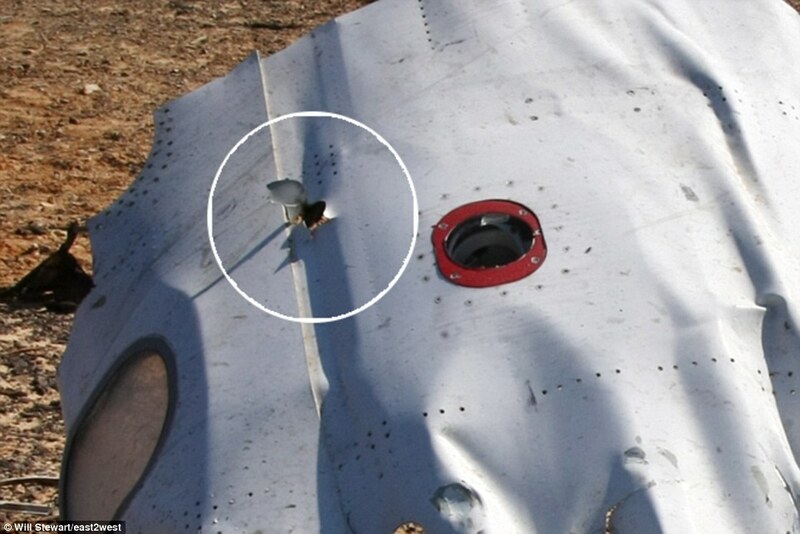 This is born out by images such as the one below which shoiws clear evidence of a puncture hole consistend with a small chunk of something very hard being ejected from the fuselage. The holes, as predicted, are exactly where we expect them to be, just forward of the wings and at wing height. This, once again, is consistent with our theory of explosions ejecting metal parts from the systems when they explode. They have a dedicated crew that load them that is separate from the rest of the air-side employees, which maintains the compartmentalisation needed to keep this part of the operation secretive. Nobody need know what they are for. not much more we can say at this stage except watch this space as we will be watching the story unfold and twist and turn with all the usual twists and turns expected of a make it up as you go along cover up of this scale. Enjoy your grey, and back to you soon.